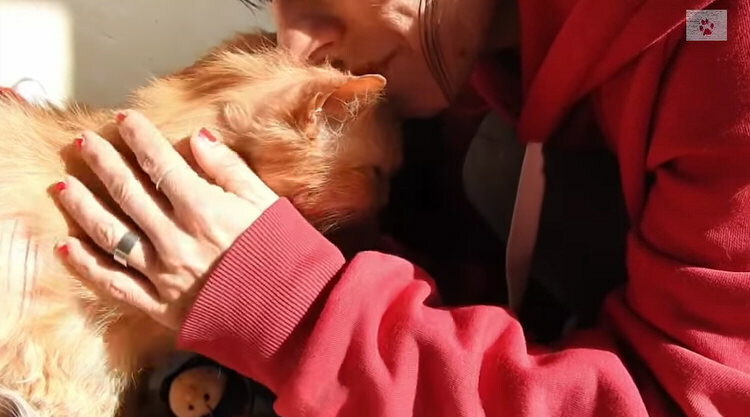 Cinnamon the cat had a pair of loving humans with whom she spent 17 years of her life but when they passed away unfortunately and she was taken by other family members, the cat’s great life narrowed down to abuse of the worst kind. This was until the Second Chance Animal Rescue Society (SCARS), a foster facility run by volunteers, found Cinnamon and decided to give her the love and care she needed. 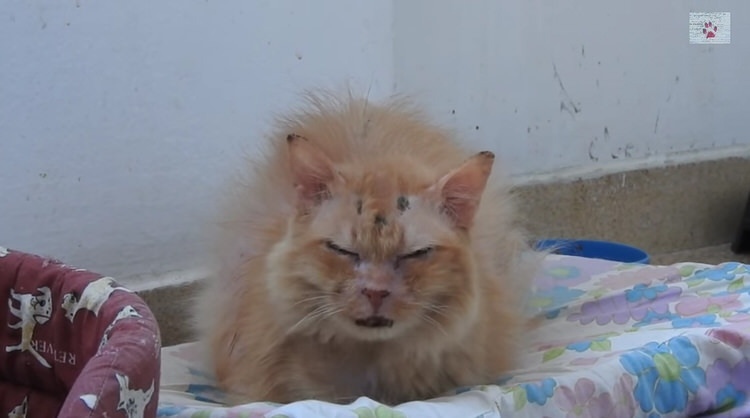 Sadly, the abuse the poor feline had gone through was such, that she had some serious resentment towards any human, probably believing anyone but her late owners could possibly treat her in the way she deserved. The staff continued to try and get close to her, but months went by until any attempt at petting her was successful. Valia Orfanidou, one of the shelter’s volunteers, did not give up regardless and one day, Cinnamon finally let Valia pet her and slowly, every other member of the staff. After losing her humans, Cinnamon was quite lonely and wouldn’t trust any human due to all the abuse and toughness she’d gone through but one kind act can change an animal’s life and help them live the rest of their lives as happy as can be.